Dates for the next batches will be announced soon. Meanwhile you can talk to the host and suggest dates according to your availability. This experiential program is designed for travellers interested in exploring the nomadic lifestyle of Himalayas where we stay with the nomads and listen to the stories of wolfs and snow leopards. 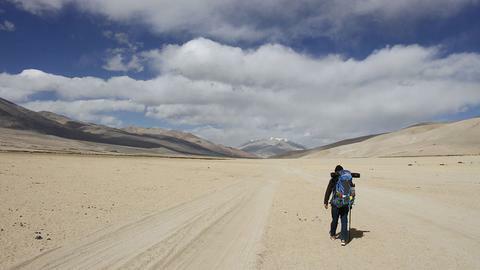 The Changpa nomads in Eastern Tibetan plateau of Ladakh wander from pasture to pasture with thousands of Yaks and Pashmina goats. They live in small temporary settlements made of hedge stones called ‘pullu’ and Yak wool tents called ‘the Rebo.’ The Changpa’s nomadic lifestyle set in trans Himalayan cold desert makes them a tough tribe living in one of the harshest climatic conditions. Receding pastures and wetlands through the Himalayas and the new generation lured to technology based comforts of the city is a major lifestyle challenge faced by them. Travel to Changthang meet the clan head and with his permission pitch your tent in their settlement. Leave with a shepherd for the mountains with yaks and goats for the day. 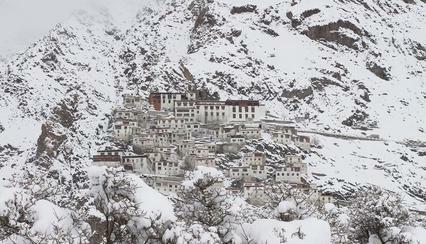 Pack your lunch, pick up your camera and you are in for a treat of best panoramic shots of Himalayas. Say good bye and travel back from the settlement to Leh. Expect Snow. A lot of it.